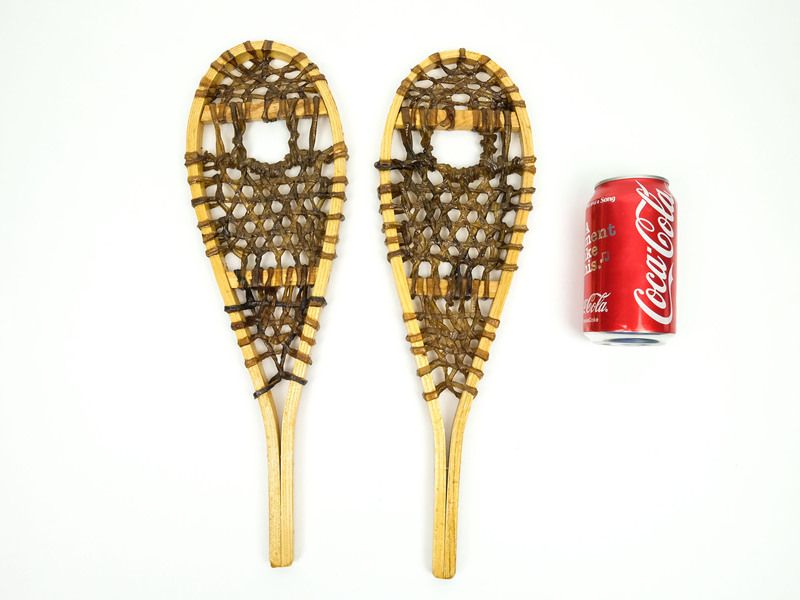 These Huron Mini Snowshoes are made just like larger, working snowshoes. 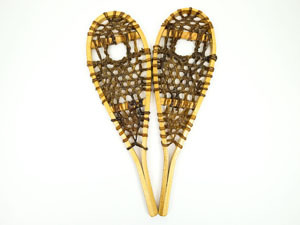 These 16" snowshoes are a great decorative item. 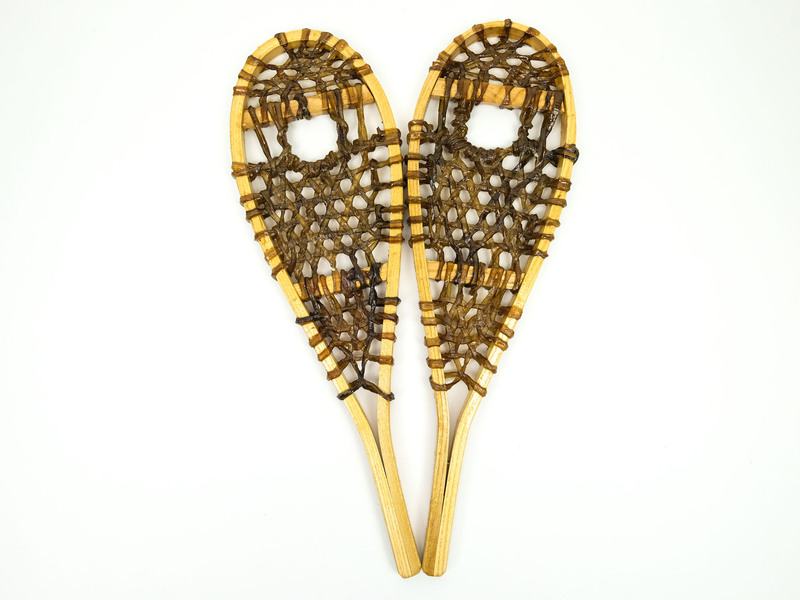 They do not come with a harness and are made with real rawhide lacing.